Hey dolls! Hope you all have been having a great weekend. 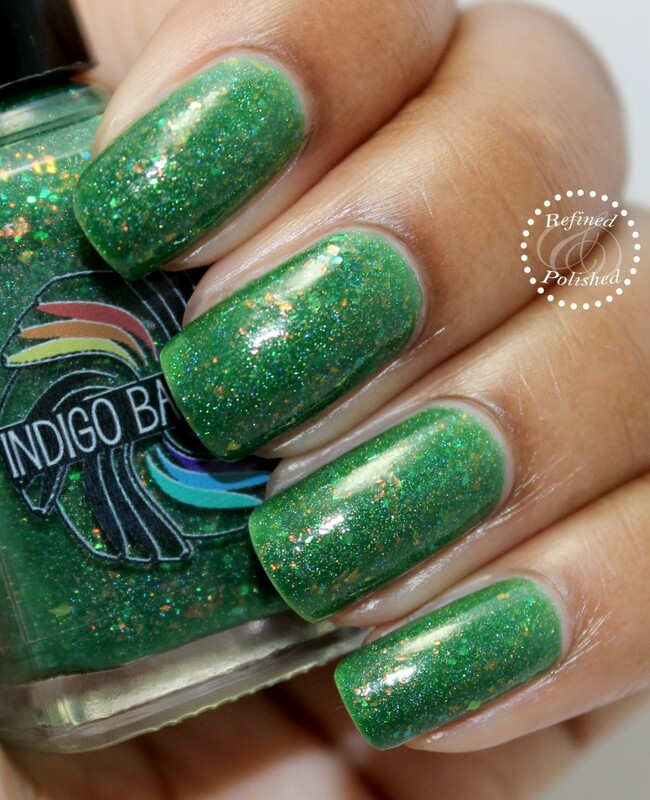 Today I have photos for you of the Indigo Bananas Summer Rains collection. 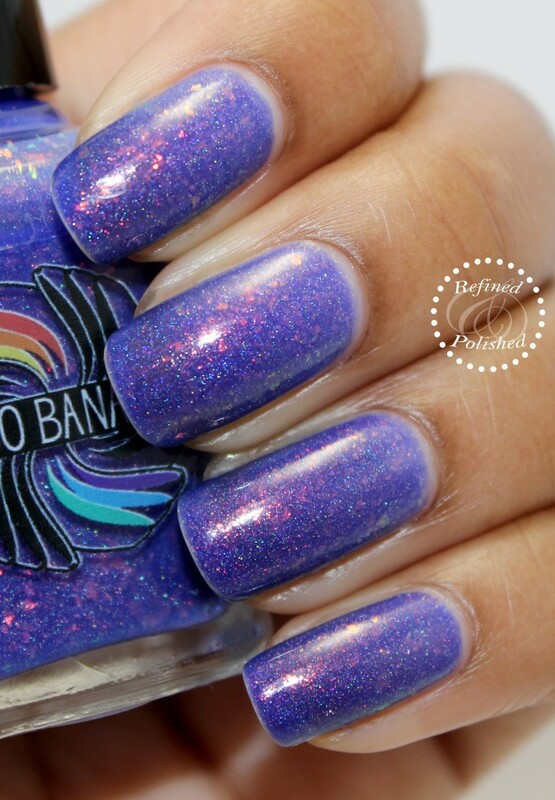 It consists of seven jelly based polishes that are filled with flakies. 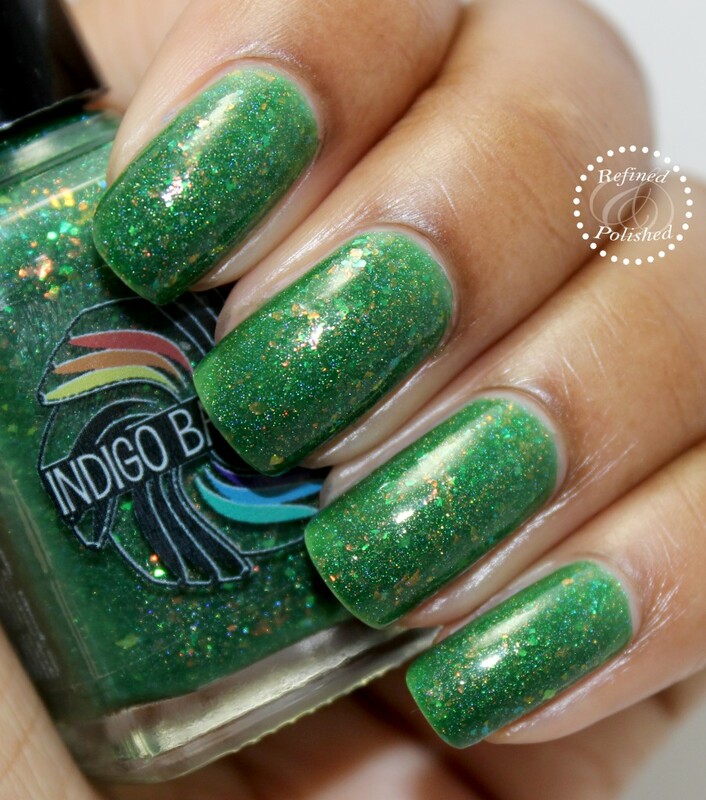 The formula was the same on each polish: sheer on the first coat, but built up nicely in three without dragging. 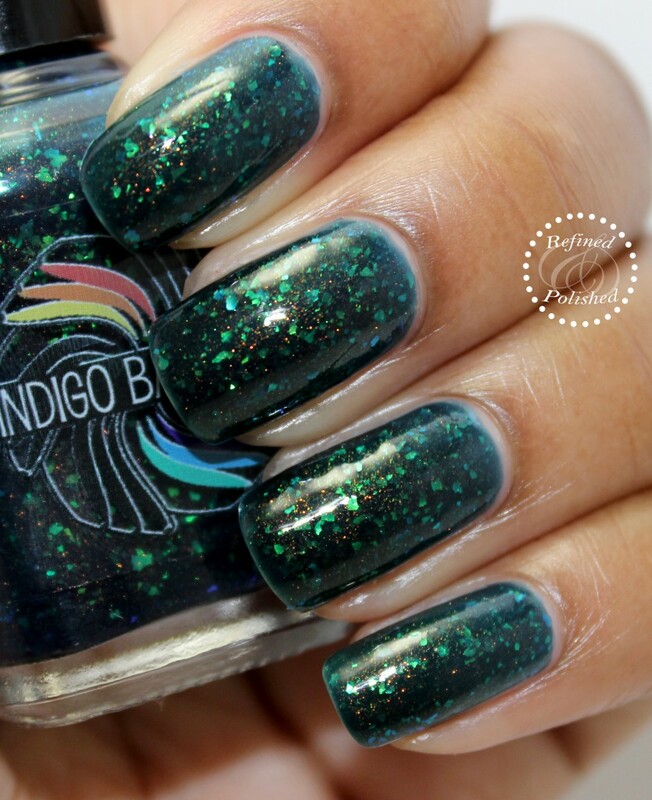 Indigo Bananas Acid Ocean is described as a deep blue with aqua/green colorshifting flakies. I just love the copper shimmer that peeks out in this one. 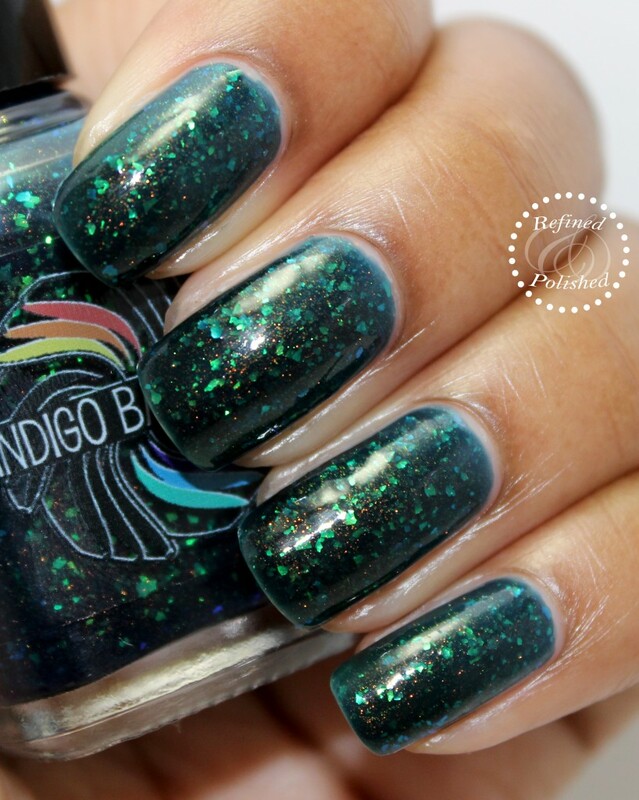 Indigo Bananas Countdown to Extinction is described as a vibrant green colorshifting flakie. I love the depth in this one. 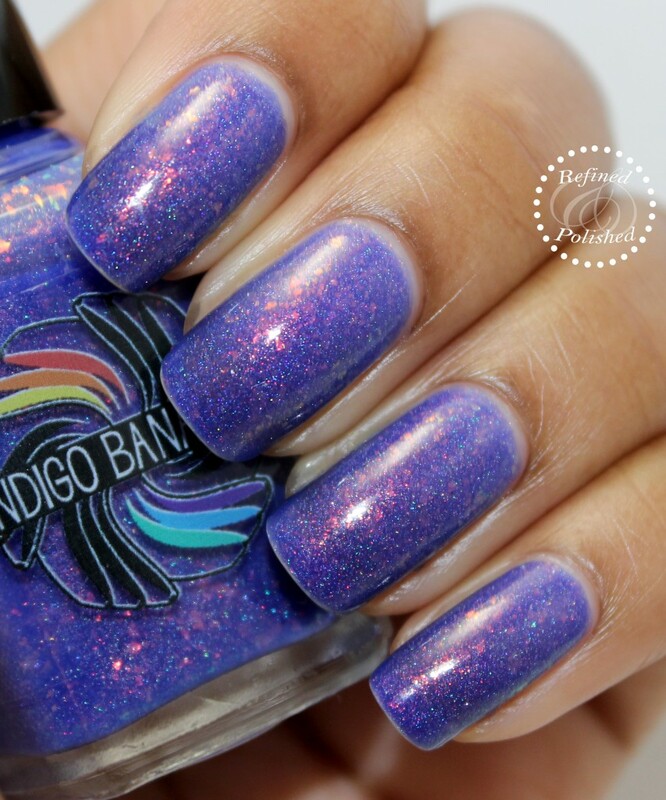 Indigo Bananas Hole in the Sky is described as a violet blue colorshifting flakie and linear holo. This is one of my favorites from the collection! 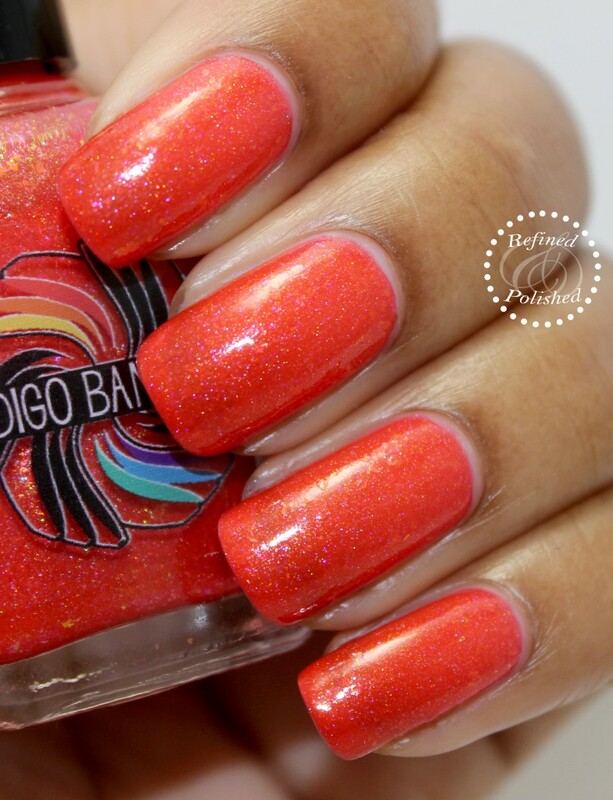 Indigo Bananas Molten Universe is described as an orange red/coral flakie shimmer. I’ve been so into oranges this summer that I had to wear this one for a few days. 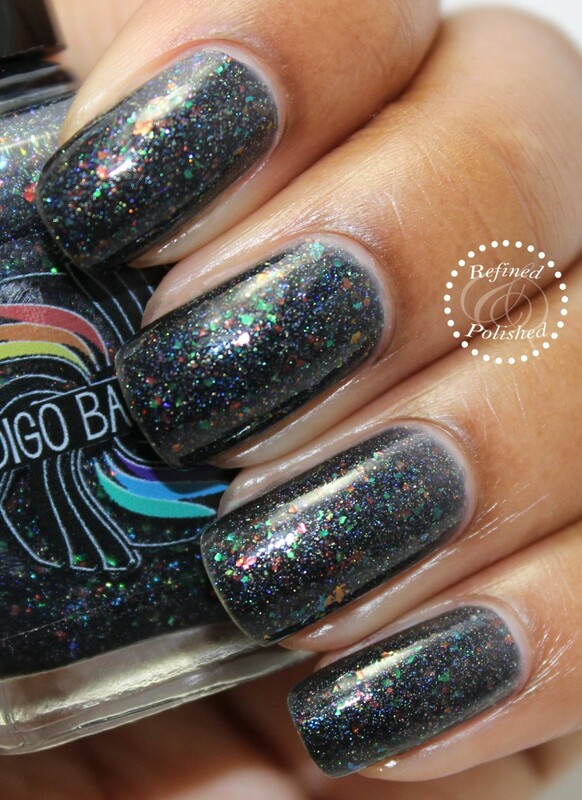 Indigo Bananas Rainbow in the Dark is described as a black rainbow flakie and linear holographic. 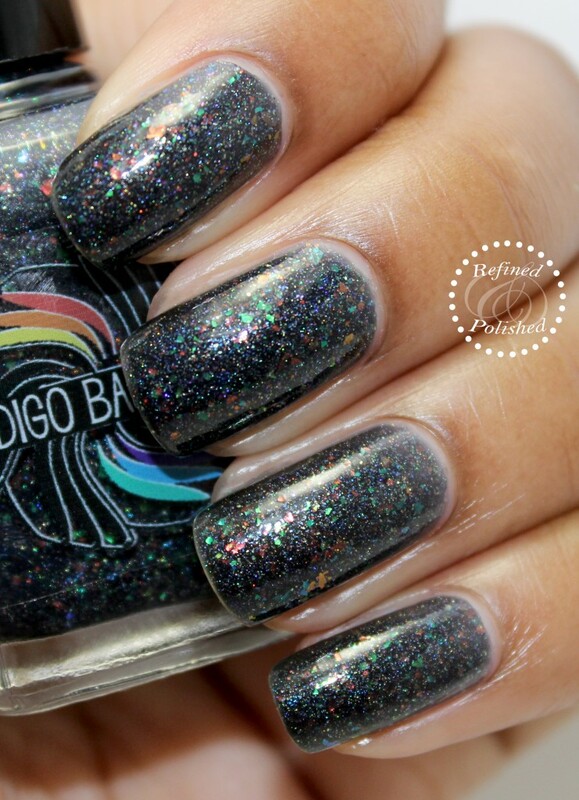 The multicolored flakies really stand out in the black base. 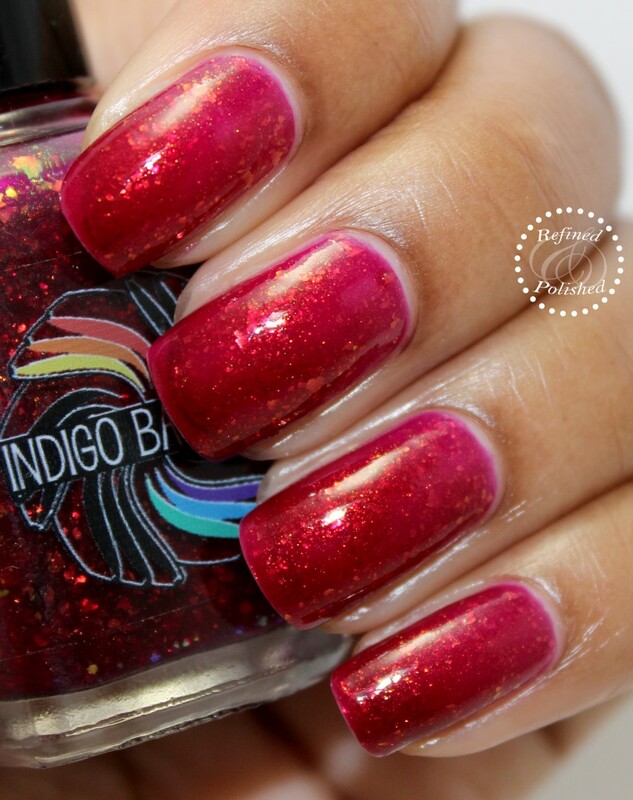 Indigo Bananas Reign is described as a garnet/blood red colorshifting flakie. 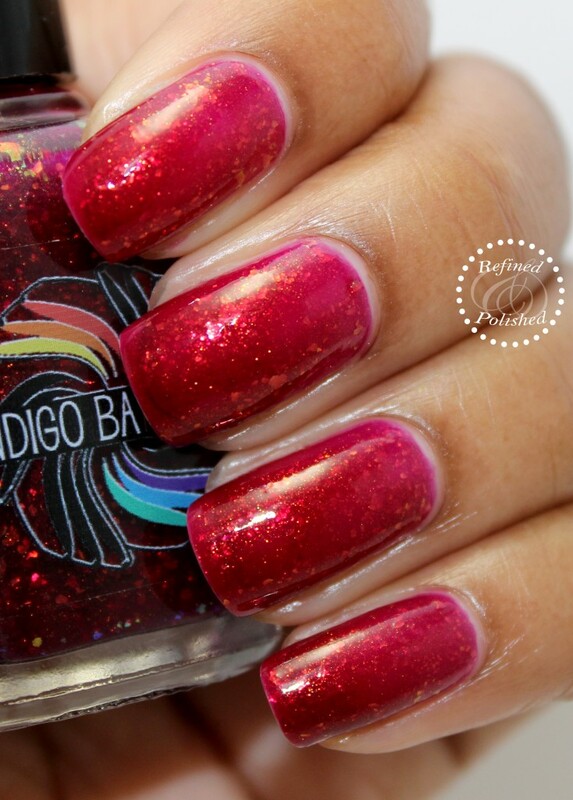 Red lovers will appreciate this shade. The visible nail line was not as apparent in real life as it looks below. 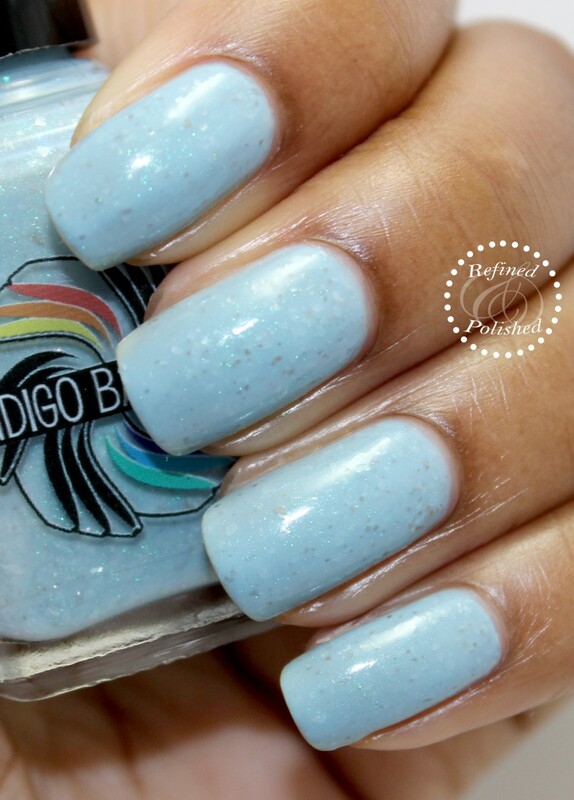 Indigo Bananas Storm Drops is described as a light grey blue flakie and colorshifting shimmer. 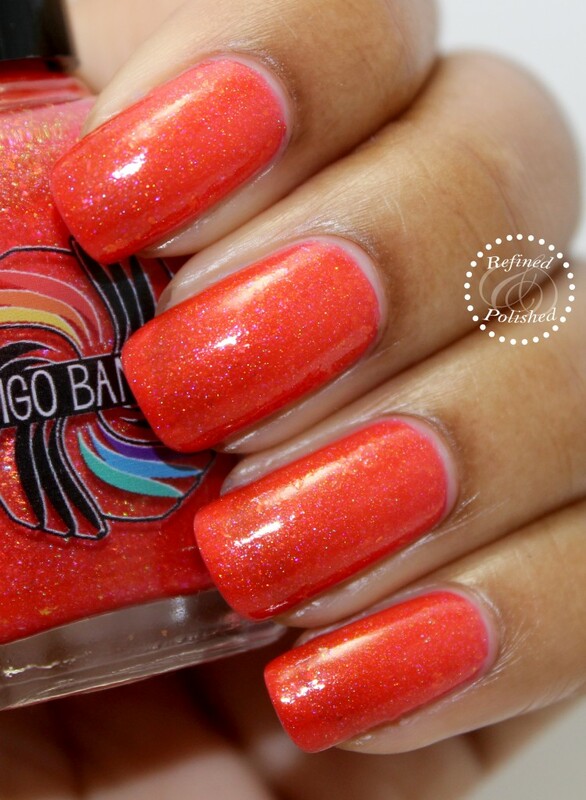 This shade stands out from the others because of its softness. 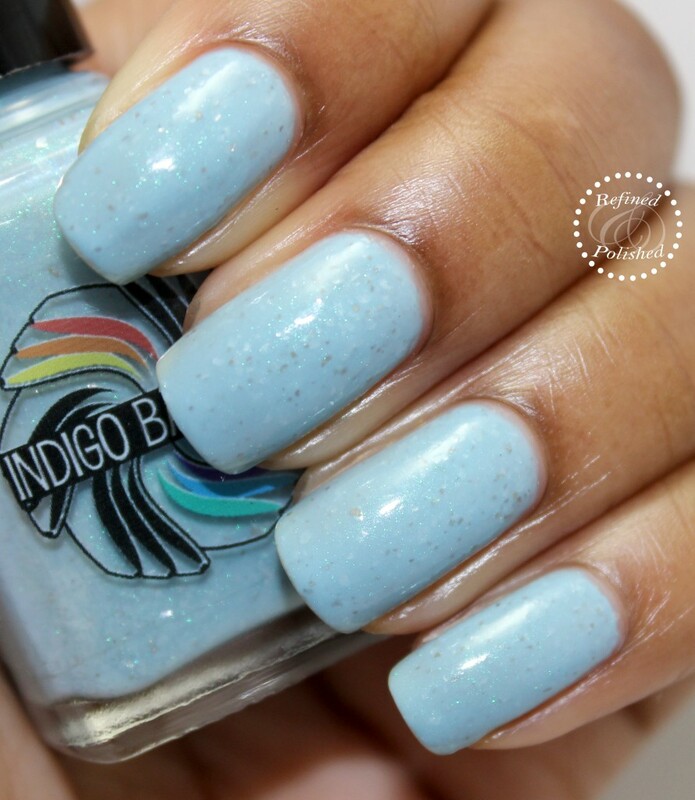 The Indigo Bananas Summer Rains collection is such a great set! It is currently available here for $7.25 (8ml) or $12 (15ml). 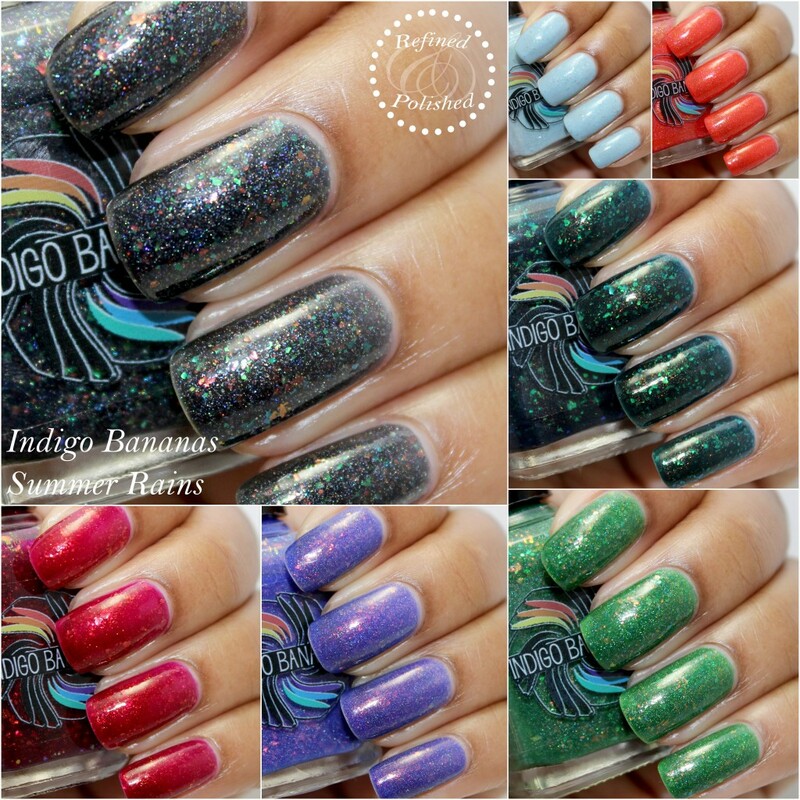 Be sure to keep up with Indigo Bananas on Facebook, Instagram, and Twitter.